Cyberbond durably and reliably retains threads, shafts and bearings. Generally the need to dismantle these joints easily is not required. Therefore the high strength retainers of the Cyberbond « R » series range meet the requirements of these types of joints. When Cyberbond is used a uniform stress distribution throughout the joint is achieved, which means dynamical and static loads can easily be withstood. In contrast to the benefits of these modern liquid retainers, traditional cylindrical assembly methods do have the following disadvantages: in the case of press fits or shrink fits, high machinery costs are involved and the parts have to be designed very accurately and become very expensive joints; in common drive assemblies, pins, splines or adjusting springs are often used, which have the disadvantage of fretting corrosion and high punctual stress. 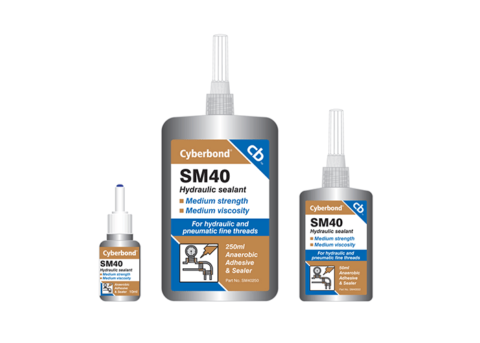 Due to various elongation figures in different metals, a welding or soldering process is quite often limited.When Cyberbond retainers are selected all these disadvantages disappear. Even when the retainers cure at room temperature, multiple strength values can be achieved, compared to assembly methods where adhesives have not been used. Small gaps can be bridged which allows for less costly designed mating parts. Assembly of parts having different elongation figures is possible. Cyanoacrylates are semi-flexible rubber toughened for dynamic and temperature resistant bonds (up to 140 degrees). These XtraFlex grades also guarantee a certain shock resistance. It provides very good results for Metal to Plastic and Metal to Rubber combinations. Vibration may cause such problems as self-loosening of threads. By applying the Cyberbond « T » series, this problem is solved. 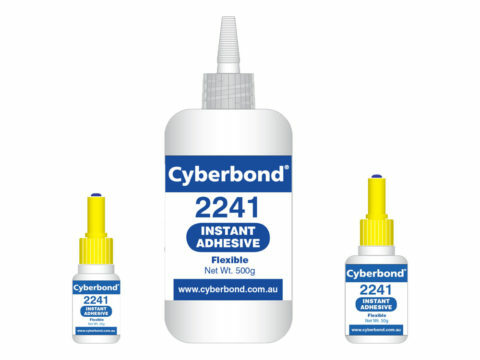 Cyberbond maintains the on-torque given on a thread, which prevents the self-loosening process. 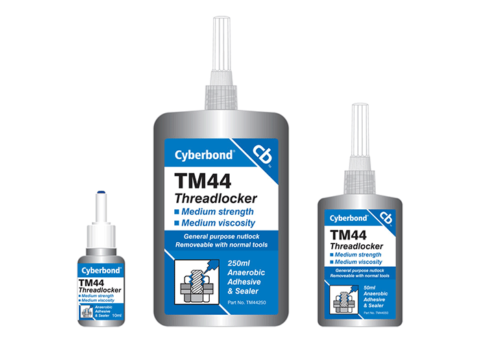 At the same time, Cyberbond fills the voids in the threads, seals the threads and prevents corrosion. Cyberbond « S » series products are able to replace traditional rigid joint faces. 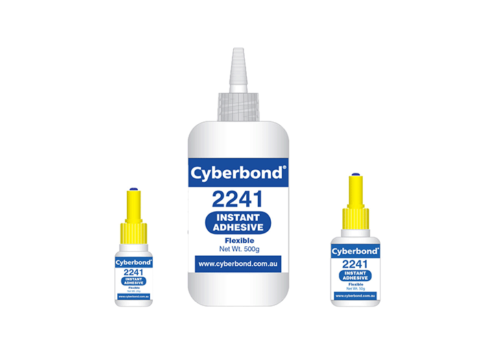 When used to seal a flange, Cyberbond offers the advantage of protecting the joint against corrosion. 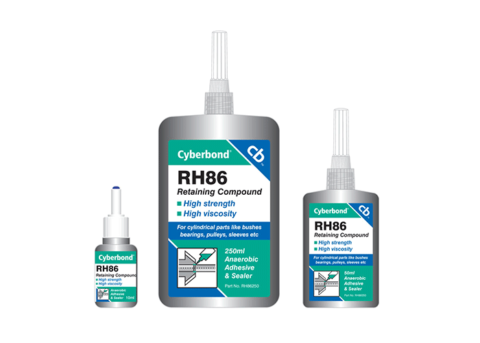 Cyberbond manufactures ISO 10993-certified cyanoacrylate adhesives which are suitable for medical use. Cyanoacrylates are used in the manufacture of many medical devices. There are several approval norms like FDA (US Food and Drug Administration), USP (United States Pharmacopeia) or the ISO 10993 standard. 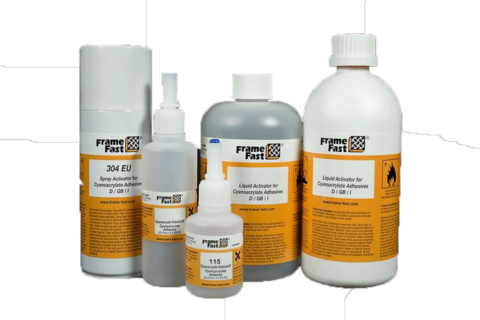 Since its introduction, the Frame Fast® Adhesive System has been the standard for screen printers, milling professionals and industrial filter manufacturers throughout the world. These patented products are designed to bond various types of mesh to wood, aluminium and steel frames.